Candle, Soap, and Face Spritzer Classes! Come learn to make three different fun luxury products! You’ll create your very own Soy Candle, Soap and a Face Spritzer using natural, organic and healthy ingredients. Max four per class. BYOB. In addition to running the Pack House Cottage, Candy Pack – a certified aromatherapist – began GSL Organics out of the need to help her own family’s skin problems. 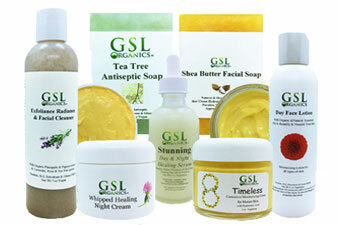 GSL Organics believes skincare should be healthy from head to toe. That’s why we formulate our products to be Paraben, SLS, Gluten, Phthalate and Petroleum free. Vegan and vegetarian-friendly. Safe for all ages and skin issues, and never tested on animals. Our ingredients are natural, organic and every product is made fresh right here in Lancaster County. 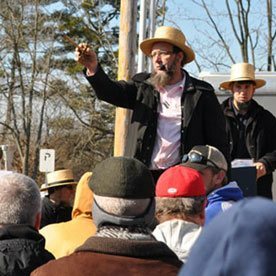 After healing our own family for 26+ years, and after the requests of many people, we became an official business in 2009. Since then, we have helped thousands of people from all over the country with skin issues such as eczema, psoriasis, acne, rosacea, and anti-aging. The phone calls and letters we receive on a daily basis from customers thanking us for our products is both heart-warming and a feeling of true happiness for our customers success from the skin issues that once troubled them. We are more than happy to help customize a skin care routine just for your skin problems! You’re family when you stay at our Pack House Cottage! 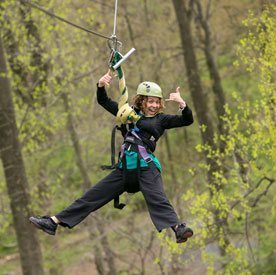 It’s the perfect southern Lancaster County getaway for a night, a week or even longer. “Rejuvenated, Fun, Special touches, Love Angel the pig, Delicious homemade bread & whoopie pies, Comfy Bed” are some of the many quotes from our guests!